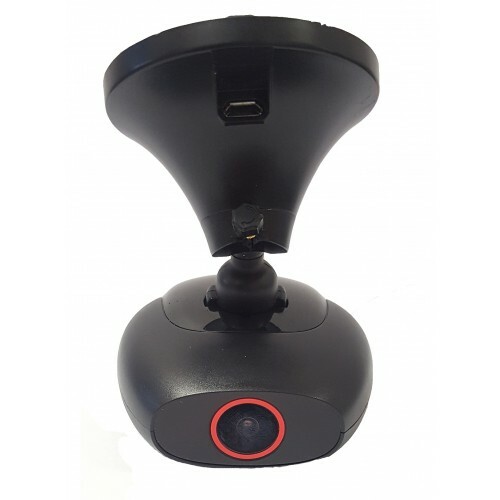 With it’s built in Wi-Fi connect and free iOS and Android software you’re able to access the camera to view video files, change settings, edit and upload videos and also view live what the camera is doing. The FREE Silent Witness SW224 iOS and Android app is easy to use and has password protection to prevent unauthorized access. You can easily change settings, view video files, you can edit and upload the video files to social media and store them on your phone for a later date. The driver behaviour scoring system allows you to see how good or how bad a driver is as it overlays sharp turns, rapid acceleration, heavy breaking and speeding on Google maps to view later. The camera also provides a driver score. We design the Silent Witness HD Cameras on the feedback from our customers from our previous cameras. Use the provided quick release suction pad to mount the camera behind your rear view mirror. Most drivers do not even see the camera from a normal driving position. Enough cable is provided to route the power to the camera around the screen and to the accessory socket. Silent Witness HD cameras can also be easily wired directly to your vehicle using an optional hard wiring kit allowing the camera to automatically turn on once the ignition does.